Microsoft's motion controller moves 24 million units. The Kinect never really took off as a core gaming platform, but that hasn't prevented people from buying it in droves. Microsoft's latest sales figures indicate that the full-body motion controller has sold 24 million units since its release. If Kinect were a console, this means its sales would now be on par with the original Xbox, and would have surpassed Nintendo's Gamecube. Microsoft's figures indicate a few more interesting things about the Kinect. 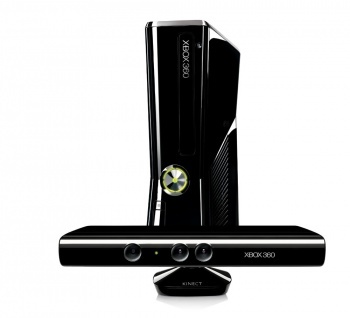 Since, at this point in its life cycle, the Xbox 360 has sold about 76 million units, the Kinect has an attach rate of approximately 1/3. Counting the Kinect as its own console rather than an accessory, it is currently the eleventh-bestselling non-handheld, right in front of the Gamecube, tied with the Xbox, and somewhat behind the Nintendo 64. Whether these are the numbers Microsoft was hoping for is hard to say, but a very significant portion of 360 owners want a Kinect to go along with it - or else own one because it happened to come in the box. Whatever the reason, as peripherals go, the Kinect is easily one of the more popular ones. Take that for what you will.